Short notice I know, but a few of us (Assuming the beast from the east 3 allows ) will be heading up to the Dales over the easter weekend. I will be doing trips with Dudley CC but we are small groups so if any other photographers fancied coming along you'd be more than welcome. We haven't really planned anything yet but our trips are mostly around 6hrs with a couple of photos en route. If interested send me a message any time up to Thursday, after this I may or may not have signal. Just under a month to go for entries. Going to CaveFest? An excellent chance to take some shots for the competition!!! 1 Like mrodoc likes this. I gave Peter my miserable quota yesterday. I dont think he has had any more as yet so yes BUMP. He will be away for the next week if you get no reply from him. My " exhibition piece" is off for mounting. I hope there will be room for it. So might I which all good photographers must know is intolerable. This year should see more exhibition visitors than ever and we really need to show Gough's Cave owners what a wonderful and talented lot we really are. Last submission date is Sunday 20th May 2018 at Midnight. Public vote is in person at Gough’s Cave, opens on Monday 4th June and closes at 17:00 on Saturday 30th June. Anyone may enter the competition. Winning entries from previous exhibitions will not be accepted. The winner of 2017 will be one of the judges in 2018. The judges can enter work to be viewed but not to be included in the competition. The judging will be on the prints. Judging will be by a panel whose decisions are final. Maximum of 5 (five) prints per entrant. For the competition the prints are to be A4 size maximum. They will be displayed with a white border. Once the competition is over then the prints for the display can be any size. Each print or image will be submitted with the full name of the entrant, title of the image and category to be entered into. For the competition they will be displayed with the number and category only. The sponsor DH James Ltd Photographic Suppliers of Wells has offered to print and mount at a discount should entrants wish to avail themselves of the service. The copyright of all entries will remain with the authors. Entries may be retained beyond the period of exhibition for the purpose of developing a permanent rolling exhibition of prints of Mendip caves with the permission of the authors. Individual authors will be credited. No rights will be conceded to sponsors or other parties without permission of the entrants, and entrants will be free to set terms for any such use. Every care will be taken of the entries, but the organisers cannot accept responsibility for any damage or loss. The organisers will not be insuring the photographs and, if required, entrants should make their own arrangements. What a shame we have so few . 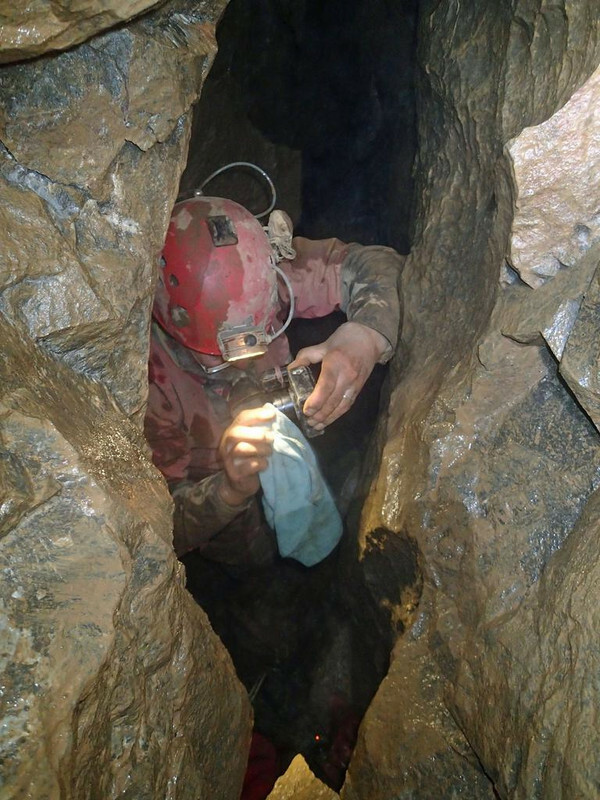 We have a great chance to show the public the hidden wonders of Mendip at a new venue at Cheddar. If folk worry about the competitive side just think of it as an exhibition. Same old story. Use it or lose it. 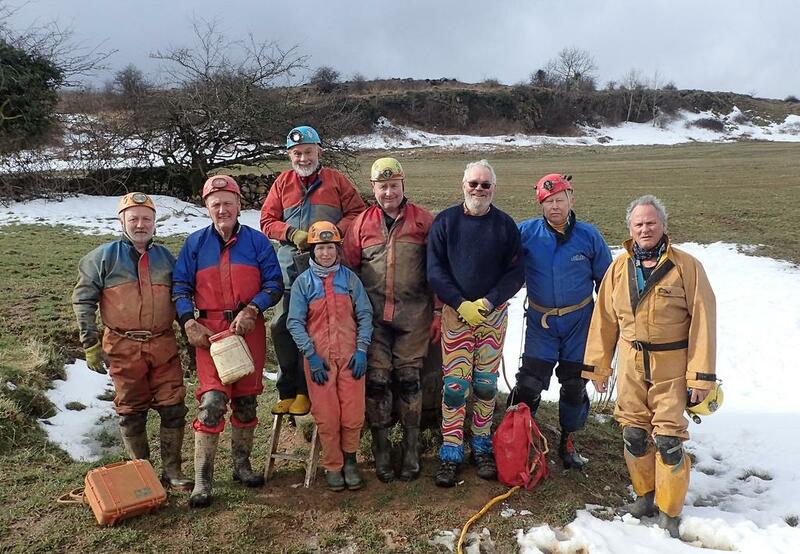 Some real cavers somewhere on Mendip. The tiny one comes in handy at times. Where are you hiding the SRT kits? Picked up my exhibition piece today. Thanks Chris Milne Picture Framing. I am closing the 'gate' tomorrow to give time for those wanting prints printed for them to get done. Thanks to the 12 people who have now entered. I am showing 115 photos this time. A treat not to be missed. Nearly 50 entries I am pleased to say. The shear power of your personality has made the event a success yet again Mr O' Doc. Now we will have over 100 images on display. Up at Cheddar Caves today getting the display underway (until I ran out of velcro dots). There is going to be a comments book and voting slips. So we managed to get the show started on the official starting date. 2 Likes Judi Durber and ZombieCake like this. Well done Mr O'Doc. Hope to drop my stuff off today. Popped in today on the way to Vurley. My big collage is up and most of the competition entries. Mr O'Doc says he will finish it tomorrow. A nice room for the exhibition right next to the coffee shop and an exit point for visitors to Goughs Cave. Free parking for coffee shop visitors . Probably mentioned before, but could you remind when is it running from and to? Stonking good effort to publicise positivity in caving in general though. Not for me to say really but the event closes on Sat 30th June. However Gough's management might keep some items on a longer basis more reflecting local caves rather than the foreign cave posters they have up at present. Visitors please dont forget to make comment in the visitors book and use a public vote.